He was known as the “Chairman of the boards.” A hardworking right wing with leadership qualities, Patrick Flatley will always live on in Islanders history. The team’s fifth Captain will be honored Saturday, Jan. 14, prior to the Islanders matchup against the Buffalo Sabres. Drafted by the Islanders in the middle of their dynasty run, Flatley played two years at the University of Wisconsin before representing his home country on the Canadian National Team. He joined the Islanders at the tail end of the 1983-84 season, in time for the team's fifth straight Stanley Cup playoff run. Be there as the Hall of Fame banner is raised to the Coliseum rafters and the plaque is unveiled. Get your tickets HERE. Joining the Islanders during that era was something Flatley will never forget. From 1984 onward that bright-eyed 20-year-old worked hard, played hard and eventually earned his nickname “Chairman of the boards” for his physical toughness along the boards and ability to win those grueling 1-on-1 battles. 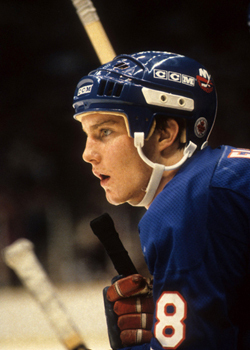 In October 1991, the start of his eighth full season with the Islanders, Flatley would be named the franchises’ fifth Captain, joining the ranks of Ed Westfall, Clark Gillies, Denis Potvin and Brent Sutter. Flatley described his leadership style as "understanding." 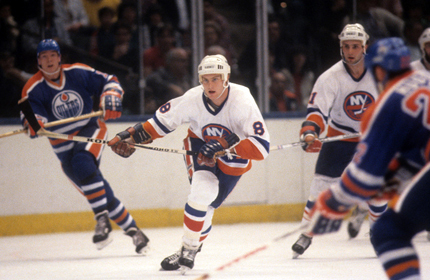 In 1992-93, Flatley posted a career-high 47 assists and 60 points (13 goals) to lead the Islanders to the third round of the Stanley Cup Playoffs, their deepest run since Flatley’s first playoff appearance as the Islanders fell to the Edmonton Oilers in the Final Round. Though he wouldn’t return a Stanley Cup to Long Island in his 14 years with the franchise, the right wing loved every moment of his Islanders career. Now, nearly 15 seasons since he hung up his skates, Flatley will return to Nassau Coliseum on Saturday, Jan. 14 to be inducted into the Islanders Hall of Fame.